Planning a trip to Jordan? Below is my guide to help you make plans and make the best of your time there. It covers itinerary planning, best time to visit, transportation options and is based on research and my own trip to Jordan in May 2013. Jordan's official name his the Hashemite Kingdom of Jordan. It is slightly smaller than Indiana and slightly bigger than Austria. Learn more about its history on the tourism board website. Jordan is a great place to visit. I felt very safe and really enjoyed the mix of ancient ruins such as Jerash and Petra with natural wonders such as Wadi Rum and the Dead Sea. If you have more questions about Safety, Lindsay travelled to Jordan with her family and answer the question: Is Jord﻿an Safe? in details on here blog post. The main attraction in Jordan is of course the Nabatean site of Petra with its huge temple and tombs carved in the canyons cliffs. Despite its small size, Jordan has a great range of climate mostly due to altitude changes: The Dead sea lies 400m below sea level, whereas Amman, Petra and the desert of Wadi rum reach 800m. The Dana river goes up to 1500m. In theorie, Jordan can be a year-round destination, but it is considered that spring and autumn are the best seasons to avoid the heat of the season in the desertic area and or the cold that can hit them in Winter. ​So March to May and September to November are the recommended month with spring showing wildflowers and green. I personally visited in May and it was already really hot to do the various hikes. But I had long daylight to enjoy the various sites and activities. Jordan is not that beach and of course the time needed to visit Jordan depends on how many ruins your can visit in a row and how long you like to spend on the beach. Below are some suggested itineraries. The roads are in good condition and the driving not too crazy so self-drive is definitely and option. Directions and signs might become more difficult in some less touristic region (e.g. Dana reserve) but people are friendly and ready to help. I selected the local company Terhaal and their 8 day Jordan Adventure (check out the review - note: I paid entirely for that tour)​. The tour ended up being a private one as the other people canceled. A good option is the private car and driver. 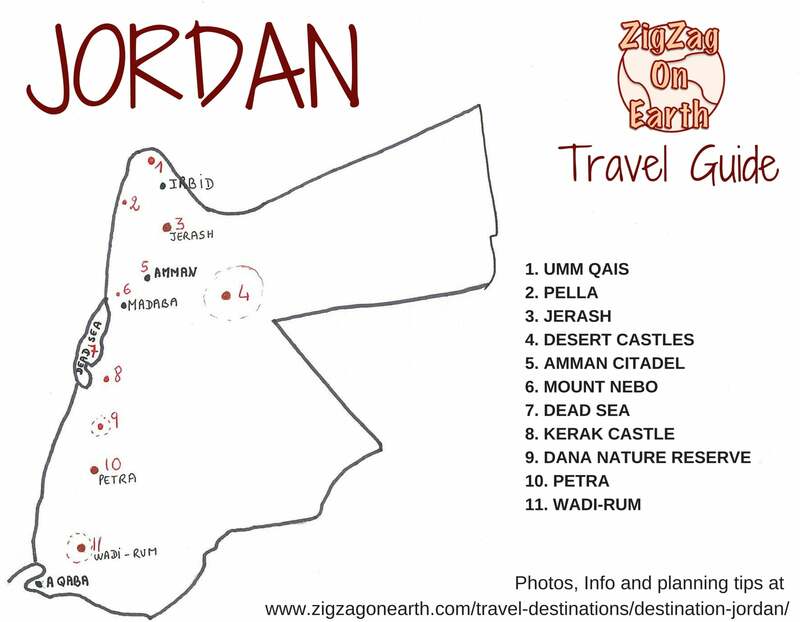 Jordan is not yet too expense and even though they are not allowed to be guide as well, they organized the tour for you and you can customized how long you want to spend in one location. You can reach most of the main sites by bus but those cater mostly for locals. JETT buses are more oriented towards visitors and go to some main sites including Aqaba and Petra. I am not an expert here but Rough guide wrote a great page on transportation in Jordan. The inconvenient of course is that then you need more days to visit Jordan as you are bound to the bus running times​ if they are following a timetable but they might wait until the bus is full. 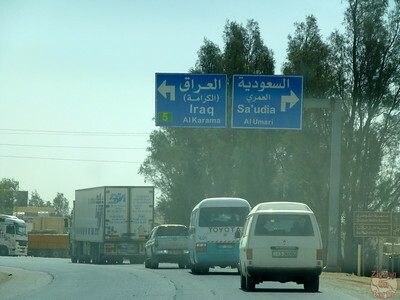 Jordan is well developed for tourism and has many options for accommodation. When it is getting closer to leave for your amazing trip, you can also check my post on preparing and packing for a trip to Jordan! It includes clothes, money, language, food and beverage, internet and all you need to know before leaving. Can you give me the contact of private car and driver? I plan to visit Jordan in December for 3 days. Thank you in advance. Sorry, the company I used does not do private tours. It is just that the other people cancelled and I ended alone on the tour.